Emily Palmer got a master degree in Curriculum and Instruction and a Certificate in Early Childhood Education at the Masters Program at Portland State University. She has achieved Step 11 (out of the maximum of 12) in the Oregon Registry: Pathways to Professional Development. She also has more than 8 years experience teaching Mandarin Chinese to children ages 0 to 13. 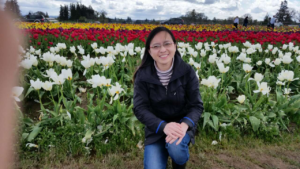 Seeking to fulfill her desire to inspire children to build on their natural curiosity by teaching through hands-on learning, she left her prior career in supply chain operation management to become a full time educator. Lily Stark has been a STEM teacher for the past five years. She works to provide minds-on education and supplemental experiments and activities to motivate students to take ownership of their own education at any level. She has a diverse background in teacher before becoming a STEM educator including teaching dance at Da Vinci Arts Middle School, English and social studies at a community center in Cusco, Peru, and even swim lessons as a young one in Southeast Portland. She has also written curriculum, developed teaching models, initiated programs to better utilize technology in the classroom, and directed a volunteer organization called Kids Helping Kids in Portland, Oregon. Ms. Chen was born in Beijing, China. There she received a Bachelor of Science degree in Electrical Engineering from Tsinghua University. 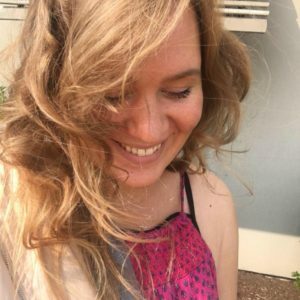 She has lived in the United States for 17 years and has 8 years of experience teaching all levels of Mandarin to international and local students. She loves working with children and aspires to always look at the world through kids eyes. Teacher Catherine come from Taiwan. There she received her Bachelor Degree in Chinese Literature from Providence University. 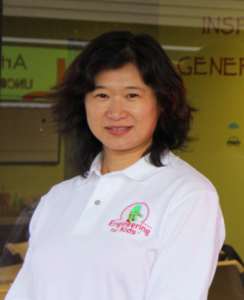 She has over 19 years of experience in Chinese teaching. Ms. Cai has received two Masters Degrees, one in Mathematics, the other in Computer Science. She has taught Mathematics for 27 years to all ages from Preschool up to College. She really loves teaching children.